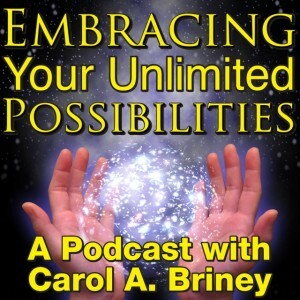 In today’s episode of the Embracing Your Unlimited Possibilities Podcast, Inspirational Speaker, Spiritual Business Consultant, and Metaphysical Teacher, Carol A. Briney talks about why living a joyful life is so important. This is my favorite podcast and podcaster. Carol’s voice is so easy to listen to and the content is WONDERFUL!